This is another prediction involving technology and using the online web. We found this story really interesting and decided to re-post it here with full attribution to the author. We are unsure as to how far this concept will go, since it has been the traditional garb of the James Bond types. Google is working on glasses that let you browse the web and do your email. You never know what will turn up in the future. Hope you enjoy this article as much as we did. Fashion is such an important part of the way in which we communicate our identity to others, and for a very long time it’s meant dress: the textile garments on our body. But in the coming decades, I think there will be much more emphasis on other manifestations of fashion and different ways of communicating with each other, different ways of creating a sense of belonging and of making us feel great about ourselves. We’re already designing our identities online – manipulating imagery to tell a story about ourselves. Instead of meeting in the street or in a bar and having a conversation and looking at what each other is wearing, we’re communicating in some depth through these new channels. With clothing, I think it’s possible that we’ll see a polarization between items that are very practical and those that are very much about display – and maybe these are not things that you own but that you borrow or share. Technology is already being used to create clothing that fits better and is smarter; it is able to transmit a degree of information back to you. This is partly driven by customer demand and the desire to know where clothing comes from – so we’ll see tags on garments that tell you where every part of it was made, and some of this, I suspect, will be legislation-driven, too, for similar reasons, particularly as resources become scarcer and it becomes increasingly important to recognize water and carbon footprints. However, it’s not simply an issue of functionality. Fashion’s gone through a big cycle in the last 25 years – from being something that was treasured and cherished to being something that felt disposable, because of a drop in prices. In fact, we’ve completely changed our relationship towards clothes and there’s a real feeling among designers who I work with that they’re trying to work back into their designs an element of emotional content. 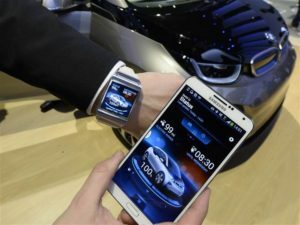 Even today consumers are customizing their smart phones and their iPads etc. They make them fit into their clothing styles and make fashion statements. There are all kinds of covers for iPhones for example that come in a variety of practical colors and shapes with and with out covers and protection for screens. This is just the beginning of what we as writers believes will be a significant change in technology and how we use it in the future. For more predictions, click here. 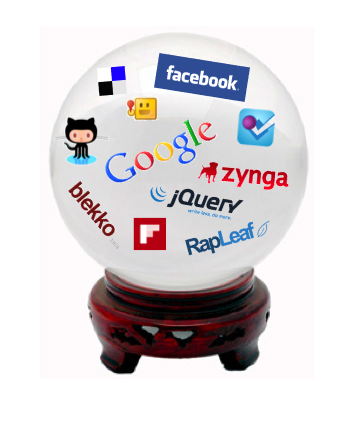 The following was an interesting set of web internet predictions that we read on the web and we found it so interesting, we decided to re-post it here with full attribution to the author. We do not often do this, however some of these ideas are really neat. We wanted to make them available to our readers. If you have already seen them just skip to the next post and please do leave a comment about what you think the predictions will be for the future. We live in an exciting world and the possibilities going into the future are just astounding. This post was originally written in 2015. Depending on when you are reading this, some of these predictions may have already come to be, while others may not. Facebook and Apple are spawning cloud capitalism, in which consumers allow companies to manage information, media, ideas, money, software, tools and preferences on their behalf, holding everything in vast, floating clouds of shared data. We will be invited to trade invasions into our privacy – companies knowing ever more about our lives – for a more personalized service. We will be able to share, but on their terms. As the web goes mobile, those who pay more will get faster access. We will be sharing videos, simulations, experiences and environments, on a multiplicity of devices to which we’ll pay as much attention as a light switch. Charles Leadbeater, author and social entrepreneur. For more predictions, click here.